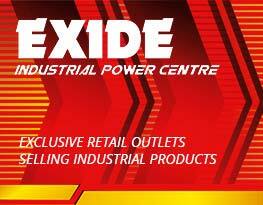 In keeping with the tradition of providing exclusive service levels, we have created a state-of-the-art kind retail experience for you - The Exide Power Centres. technologically superior support and personalized customer service, all at one stop. Visit your nearest Exide Power Centre and experience the Power of Exide Industrial Batteries - Tubular, SMF VRLA, Gel, Plante, OpZs and more. More than 30 exclusive outlets promising an out-of-the-world experience to customers. Call our Toll Free No.